and their mission of using music and the outdoors to raise valuable funds for smaller nonprofits and individuals in need. From its inception, AMF has stressed growing an organization built on the highest business and moral ethics. To ensure that all proper steps were taken, A Major Funding hired Dale Hart of Anchor Consulting Group, a professional nonprofit startup, consulting, and mediation organization. 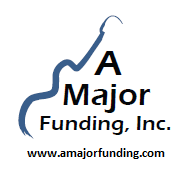 For a very reasonable fee, Dale helped AMF and its directors through the appropriate processes associated with starting up a legitimate nonprofit organization. A Major Funding has also reached out to procure the appropriate insurances needed to function as event coordinators and for nonprofit fundraising. Although there are no salaried employees, general cost of everyday business are areas where donations are much appreciated. For more donation information, please contact Michael Wren or Tres Womack. The sponsoring of whole events, different parts of the event, or in kind gifts enable the organization to focus their efforts on the musical and/or outdoor aspects of the events they are producing, and the raffle and auction purchasers to see their money go directly to the cause they are supporting. The Current Sponsor opportunities are here.